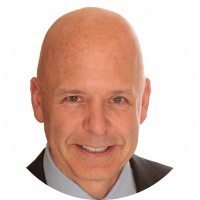 Shep Hyken, CSP, CPAE is the CAO (Chief Amazement Officer) of Shepard Presentations. As a customer service expert and keynote speaker, Shep works with companies who want to build loyal relationships with their customers and employees. Shep is the “New York Times” and “Wall Street Journal” bestseller of “The Amazement Revolution“, “The Cult of the Customer“, “The Loyal Customer“, “Moments of Magic“, “Amaze Every Customer Every Time” and “Be Amazing or Go Home“. In 2008 Shep was inducted into the National Speakers Association Hall of Fame speaker for lifetime achievement in the professional speaking industry. In 1983 Shep founded Shepard Presentations and since then has worked with hundreds of companies and associations on their customer service and loyalty initiatives. Shep has a team of trainers and facilitators that take his customer service concepts to a deeper level. HOW DID YOU GET TO BECOME AN EXPERT IN CUSTOMER SERVICE? Well I would say the very first job I ever had was when I was about eight years old, my grandfather had me work at his drugstore and I would actually run down the street deliver things and say thank you and take the money. Then when I was about about twelve years old I had my first business, a birthday party magic show business. When I came home after that magic show my parents and my brother and sister were sitting around the dinner table and my mom said “What are you doing after dinner?” and I thought for a moment and I said “homework?” and she said “no go write a thank you note”. So that was my first lesson into customer service, and my dad said “that’s great, but a week from now I want you to call the parents who hired you and thank them again for letting you entertain their little kids and then ask how you did”. And that was getting feedback. My dad said that when I do enough magic shows I should start asking what their favourite tricks were and start to see a pattern. This is what my dad told me, I’m twelve years old and I’m learning about feedback and process improvement. That’s not what he called it and that’s not what I thought it was until I was older and realized that’s exactly what it was. He said whatever tricks nobody ever mentions get rid of them and replace them with others that do like. So I was constantly making the show better and better, well that’s the same in any business. Later on I worked retail jobs, I worked in a self-serve station gas station when I was in college. I remember once it was a very cold day and a woman drove up she was probably 80 years old, it was so cold that day and I ran out and I pumped gas for so she wouldn’t have to get out of the car. My manager criticised me for doing that saying that now she’s going to expect that the next time and we’re a self-serve gas station. I said Sir that woman was so old and frail I was afraid she might slip on the ice and hurt herself. I just wanted to take care of her, and maybe she will come back here instead of the station that’s across the street. He gave me this look, but I knew I was doing the right thing. So I graduated college and I started my speaking business, speaking about customer service and writing about it and researching about it, and that’s where it all started. Most people can learn how to deliver a good level of customer service. It’s natural to say please and thank you and be nice to people, but taking it to a level of a true service professional well that’s another story. Number one, when you hire people you’re hiring for the right fit, so you’re looking for behavioural styles you’re really looking for sometimes personality, but also the company has to deliver the right culture so that everything works together and is in alignment. That’s not necessarily as easy as just saying “oh here’s somebody that seems to be pretty nice, let’s put them out there and they go be nice to everybody”, you’ve got to still teach you how to do it. They may have an innate ability but you’ve got to refine that, and train to it. WHAT AREAS OF CUSTOMER SERVICE ARE YOU MOST PASSIONATE ABOUT? Well number one anything that’s front line focused I think is really, really important. So I love talking to executive level people or the actual front liners about what needs to happen on the front line. So that’s what I would call the basic customer service and customer experience. Secondly, a real big area I think is what’s happening internally, how are employees treated? How’s the culture of the company? That’s an important piece of it as well. There’s so much going on in customer service, things have changed in the true level of what we call customer service. I believe service is not a department it’s a philosophy to be embraced by everyone. I still think there’s a lot going on within the actual delivery of customer service and customer experience to a customer, client, patient, guest, member, whatever you want to call them. In that particular area the topics are a little wide and varied, for example there’s artificial intelligence, there’s social media, customer care, there’s self-service and there’s a number of areas that I think are trending stronger and stronger that are impacting the service world. WHICH CUSTOMER SERVICE INFLUENCERS INFLUENCE YOU? Oh wow great question, by the way can I start off by saying the concept of influencer marketing is so powerful and to me Customer service is marketing and a lot of influencer marketing is happening on social media. The traditional way of influencer marketing might be a celebrity on a television commercial, but now it’s moved to social media and I think as a result it’s a great service and experience to a customer to deliver relevant value-added information of some kind. If you’re a clothing manufacturer and you hired some celebrity to represent your clothes they don’t just wear them and look pretty or handsome in them, they actually explain why they like them and there’s more to it. So there’s relevant information and I love that. That’s the way business is going and people are recognizing the power of that. The influencers that influence me who are they? Gosh I have a lot of friends in this business and some of these friends are great experts as well. One of the top guys in our business is Jay Baer. Now Jay Baer is not just a customer service person, he does a lot in content marketing and influencer marketing, and he does focus on the customer experience. He’s a big influencer, I like to watch and read everything he says. Dennis Snow is another friend of mine, he’s a Disney guy and when he writes something I think it’s important to read it. There are so many companies that come out with great reports, I mean I love the Forrester reports and the Gartner reports that are spotting the trends and sharing information. So they influence my way of thinking. I really feel bad about answering this question because there are so many people and organizations and I’m going to leave out. I’m on the internet, scouring every day for articles, I read five, ten, fifteen articles a day that are written by people who are talking about customer service and customer experience. Sometimes it’s a CEO or a marketing person within a business and sometimes it’s an author who’s sharing their feelings, opinions and thought leadership on a particular topic related to service experience. I’ve given you a few names but at the end of the day it’s a wide variety of people that influence me. I have this interesting little daily article consolidator called Customer Service Daily. This is done through a company called paper.ly. I put in my twenty-five people and magazines that I want to follow because they’re the ones that seem to either be writing about or sharing content related to customer service and experience. I then filter it with keywords and every day I get a nice little digest of a number of articles in this area. So that’s a pretty powerful way of getting good content from thought leaders and influencers. OUTSIDE OF CUSTOMER SERVICE WHO ELSE INFLUENCES YOU? Obviously my parents influenced me. One of the things my dad taught me was to live life large. I believe in having a really good time and so I have lots of hobbies and interests. Some of the fun things I do in life which will give you a bit of an insight into me. If you take me on a vacation tell me to sit on a beach and read a book I’m going to go crazy. I’ll read a book on the airplane on the way to wherever we’re going, I don’t need to sit on a beach to read a book. But when I get to wherever I’m going I want to do, do and do! I want to have experiences. A friend of mine Giovanni Livera wrote a book called Live a Thousand Years, that’s an old expression and it’s all about how you have a real age which is the age you actually are and then you have what he calls a sage age, and that’s the wisdom and experiences that you’ve amassed over time. He has a formula that you fill out to determine what your sage age is. I did it and turns out I was off the charts, I’ve lived eight hundred and eighty years or something like that. That’s because I don’t have a bucket list, when I see some things in front of me I just experience it. Dan Sullivan is a coach that I go to once a quarter, actually I now go to one of his coaches. The strategic coach program has been a great influence on me because it helped me create a balance. I got a booked to speak in New Zealand, it’s never been on my bucket list to do a bungee jump but I said to myself I’m going to New Zealand so that’s what I’m going to do. I play ice hockey two to three days a week, I like to play tennis and golf. I’ve been doing magic since I was a little kid and I still do magic and even include it in some of my speeches. I play guitar and I’ve played with some of the greatest musicians in the world like Marc Schulman the drummer for Pink, and Scott Page who was the saxophone player for Pink Floyd. I’ve been so blessed and lucky. I just want to have fun in life because this is the only life I’m going to have. I so much love what I do on a day to day basis professionally, it’s work there’s no doubt about it and I work hard at the end of the day I’m tired and sometimes I’m even stressed, but I love what I do and I can’t wait to get up the next morning and keep doing it. Well I’m my seventh book will come out in October, I hit the New York Times best seller list and I’ve hit the Wall Street Journal best seller list a couple of times. I was number one in USA Today’s best seller list for business books. Two books ago the book was called Amaze Every Customer, Every Time and it’s a book about how to deliver the most amazing customer service experience on the planet. The book prior to that The Amazement Revolution I had approximately fifty companies that I represented as role models and case studies throughout the entire book. I thought wouldn’t it be cool to find one company that I could write about through the entire book, it’s not a book about that company but it’s a book that uses that company as an example and I found a great company called Ace Hardware, they actually have stores in over seventy countries. What I loved about them is that they are a small independent hardware store that affiliates with a brand and they compete against these large competitive stores Iike Amazon and Wallmart. They said what is this going to cost us? I said it will just cost you your time because I’m going to want to interview executives, and if you’ll be willing to give me the time I would be willing to write a book that features you throughout the book. They not only embraced the concept, they bought books to give to all of their dealers, they bought books to sell in their own hardware stores because they were proud that a customer service expert would be looking at them as a role model. They even got to the pointwhere they hired a P.R. firm to promote the book. This next book coming out in October 2018 we’ll be featuring about thirty five companies throughout the book that I recognize as role models in the Customer Service world. I’m going to let them know that they’re in the book so they get excited about it and want to promote themselves. I don’t expect anything from these companies I just want to acknowledge how great they are. In addition to writing I also speak at events. Back in the day when I first started out that was the way I would make a living, I’d go out on stage and speak. Today I go out all over the world about fifty times a year and I speak to different groups. Sometimes it’s a private corporate event other times it’s can be a public event. Sometimes a company will take me on the road where they’re bringing their customers and prospects together, they use me in that influencer role because they know that I’m an outsider and I will bring people in because some people recognize who I am in the Customer Service world so it works well for them. Well I’m not going to tell you anything that you probably don’t already know about, but let me tell you what seems to be trending and where it’s going. So first of all recognize that the customer is smarter than they ever were before, and they’re only going to continue to get smarter. They no longer compare you to a direct competitor, they compare you to any great service that they have had and expect you as a company, whatever you do, to deliver a good level of service based on their best experiences. So step up your game because if you don’t your competitor surely will. The big trend there is again customers are smarter than ever and they expect more as a result. Let’s talk about what’s happening on the what I would call technology type trending things. Number one there’s a big trend toward personalization. Right now, it’s a little bit aggravating when you go on a website and you’re looking at let’s say you look at buying a T.V. on an online retailer’s website and the next time you log on to Facebook and Twitter and the other social channels you start seeing ads for T.V.’s popping up everywhere you go. That is the starting point for true personalization. Companies are going to refine their ability to communicate relevant content to the customer in a way that is less obnoxious and probably as a result will have better success. So personalization is huge, and it can be something as simple as that type of marketing personalisation or just remembering your customer from the past and being able to deliver a better experience because you use the past to create a better experience in the present. Second big area is data. We’re able to gather and amass data in a way like we’ve never had it before and the smart companies can take that data and ask the best questions and use that information to really create a better experience. Data is a is a great way of getting direct to the customer, and this all goes back to personalization, when you have the data you can better personalize. If I walk into a hotel and they say welcome back because they can see in the system I’ve been there before that’s personalization. Then they can say hey I noticed that you like the corner room, we have one available for you tonight if you’d like that same type of room again. Number three is social media, which is huge now in customer service, and it’s only getting better and bigger because companies are finally realizing they need to not only be on social media but they need to be monitoring it in real time and responding faster to it, because more and more customers turn to social media channels to ask questions and make comments. Not complaints always sometimes they are just saying great things and it’s a great service to respond back to them, after all it’s polite to say thank you really appreciate your kind words and look forward to seeing you again, that kind of thing. Number four is self-service. More and more customers are going to a channel that will allow them to get information without having to jump on the phone or interact or seemingly interact with a human. And that leads us to number five which is chat bots an artificial intelligence, this is a big, big area and it’s good right now and for some companies it’s really good, not excellent but it’s still got a long way to go. What AI is great at is handling the lower level functions of dealing directly with a customer. If I need to change my address for delivery, or I need to change my credit card information, or if I’m calling a bank and I want to get my bank statement, artificial intelligence and chat bots allow that to happen. Where it becomes frustrating is when the chat bot is making mistakes and giving customers bad information because the customer is asking too difficult or sophisticated a question, then it should seamlessly transfer over to a human who can take it over. The chat bot is becoming smart enough to recognize when it’s frustrating the customer and it just knows. People always ask are chat bots going to replace human beings in the three to five years? The answer is no, it will replace them at a lower level but it’s really not replacing the human. A lot of companies are not eliminating people because they now can have chat bots answer these lower level questions, they’re re-assigning these great people to a higher level of support allowing the customer not to have to wait to get to these people, and these people can now focus on things that are more important than just changing an address. So I always like to say that the A.T.M. machine did not take away tellers from a bank, and video did not kill the radio star. If you go to hyken.com there you’ll have my contact info. Pick up the phone call me, or email me through the contact form and we’ll get back to you, and I would love to here from you.